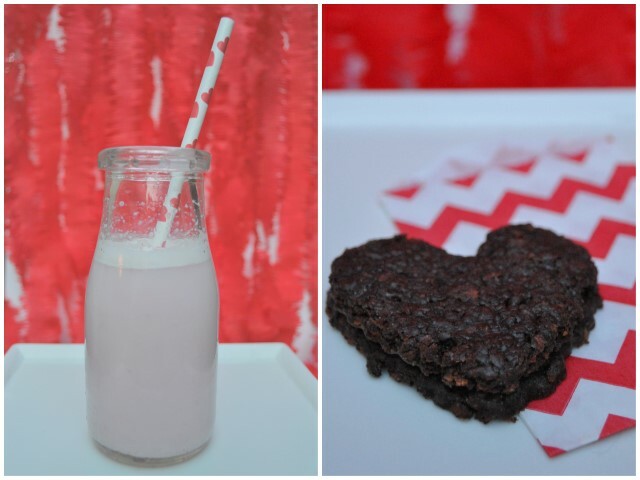 A few weeks ago I was lucky enough to win a giveaway from one of my favorite party stylists, Pure Joy Events for bunch of adorable Valentine's Day goodies from Cute Tape. As last minute treats for friends and family, I was able to put the heart straws and little chevron bags to good use. By the way, have you ever made real strawberry milk? It is easy and delicious and actually tastes like strawberries! Combine the strawberries and sugar in a saucepan over medium heat. Bring to a boil and cook for about 10 minutes until syrupy. Pour off the syrup and cool. At this point, you can continue to cook the strawberries for about 15 minutes to make a delicious jam. To serve: Mix 8 oz of milk with 1/4 cup of strawberry syrup and shake vigorously. Fantastic, Michele! Gotta try your fresh strawberry milk too. My kiddies would love it. This is absolutely great for my kidos. They are looking for new flavors and tired of drinking plain milk. The steps were so easy and will try making one this weekend.